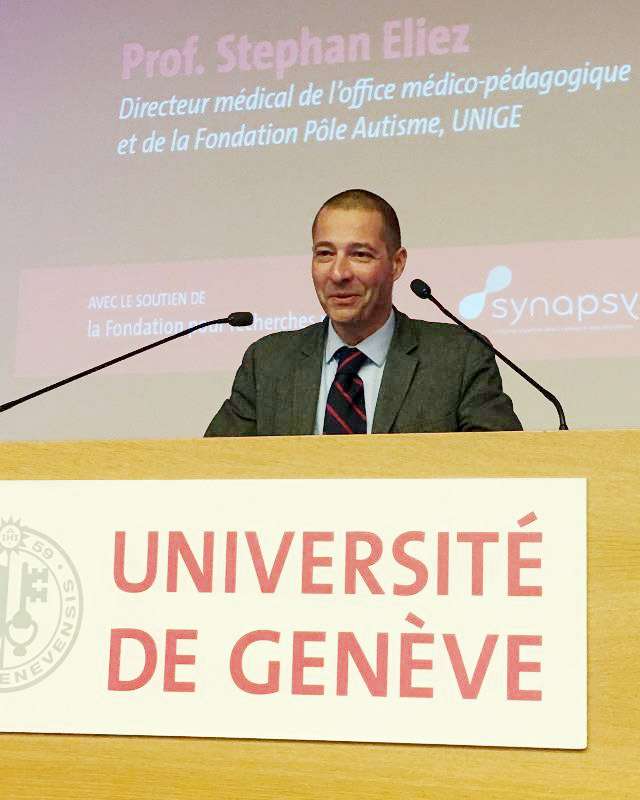 As part of the University of Geneva’s public conference series, the Synapsy national center of competence in research (NCCR-Synapsy) invited Pierre Magistretti on January 31, 2019 to give a talk about his research. 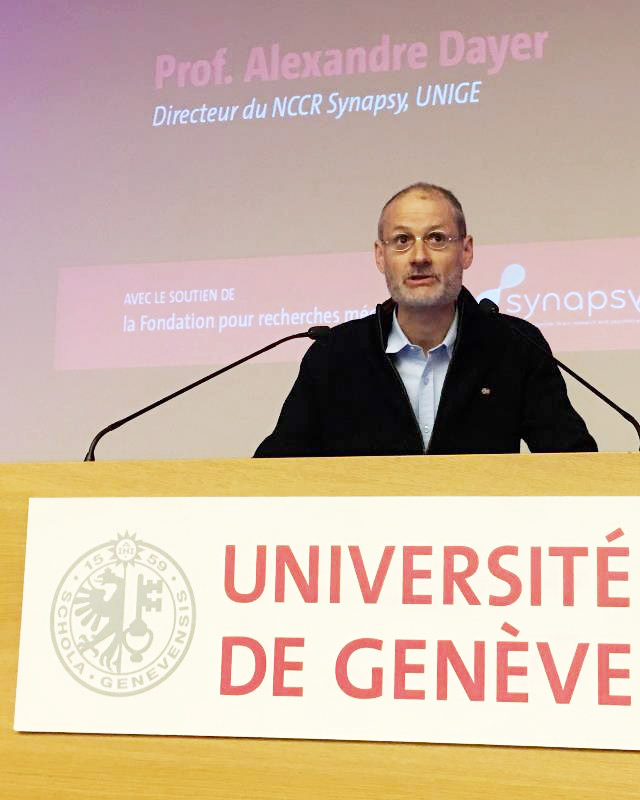 Professor Magistretti, cofounder of the NCCR-Synapsy, and honorary professor at UNIGE, UNIL & EPFL, recounted how he oriented his career towards brain science and how he became a pioneer in the study of glial cells, the forgotten half of the brain. 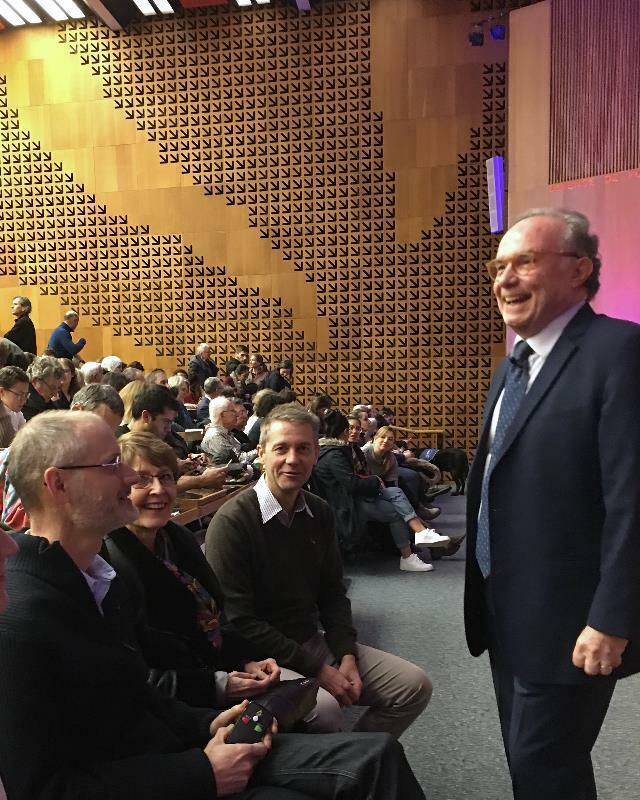 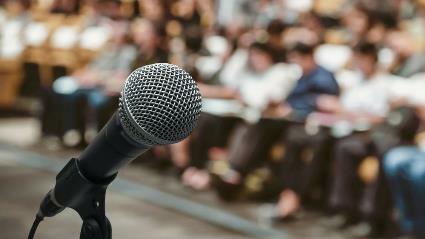 The two largest Uni Dufour auditoriums were packed, with more than 900 people delighted to discover the world of research through the history of Pierre Magistretti and to learn with amazement that the brain’s functioning is not solely due to neurons. 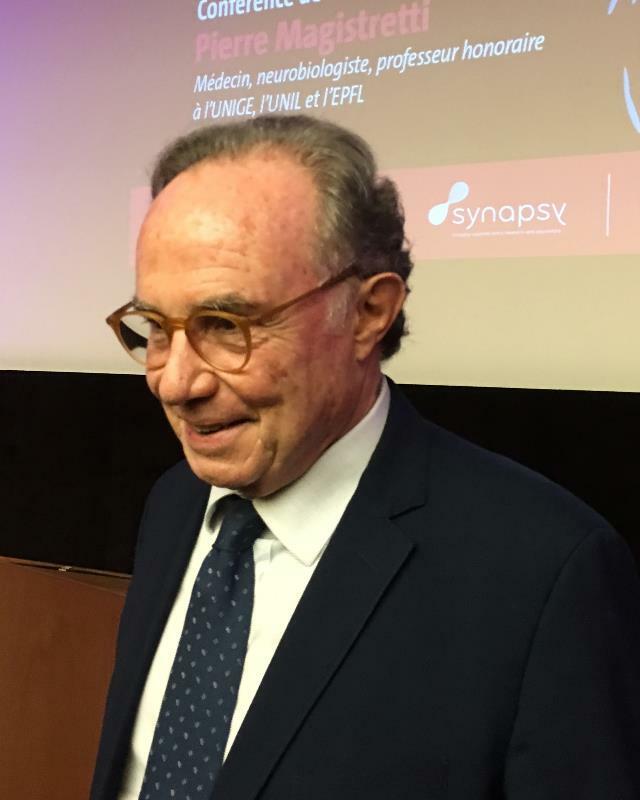 Pierre Magistretti, in parallel with the publication of his book “L’homme glial” (Odile Jacob Editor), described the way in which his favorite glial cells, astrocytes, plays an essential role in brain functions such as energy metabolism and plasticity.